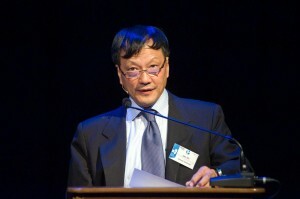 Professor Jian Shi is the vice president of Sichuan University, China, in charge of the Department of International Affairs and Human Resources. In addition to this he is an English professor at Sichuan University’s College of Foreign Languages and Cultural Studies and the director of the University’s European Studies Centre. He received his MA from Sichuan University and his PhD from Leigh University in the United States. He has been published in a wide range of formats, including monographs, dictionaries, textbooks, translated books and academic papers. His research areas include European integration studies, European cultural studies, cultural studies theories, higher education reform and European migration and work force studies.